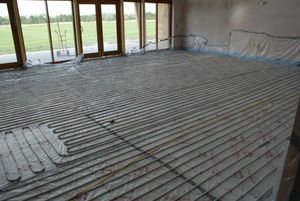 Underfloor heating is suitable for use under most types of floor covering providing the manufacturer’s maximum temperature limits are observed. 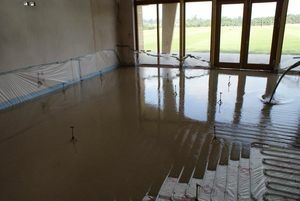 Other factors to consider are whether the floor underneath the system is well insulated and that the floor finish above the system is suitable to allow the heat to pass efficiently through the tile. 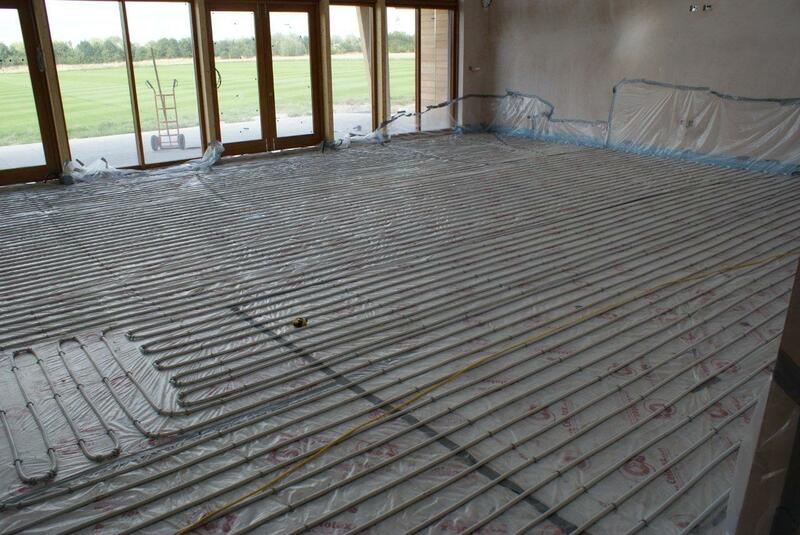 Heat pumps are ideal for providing the heat source for underfloor heating systems because they are more efficient when demand is low. 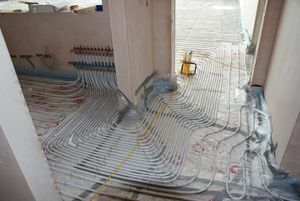 The typical temperature of warm water circulating around a piped heating circuit is around 35°C. Heat pumps working at their optimum efficiency operate at around the same temperature. A domestic boiler operates at around 70°C, the water is then blended down to 35°C for circulation around the system. Click here for more information about heat pumps. Our experienced system designers will be able to advise you of the best system for your individual requirements.